Angelos Charisteas making the draw now. 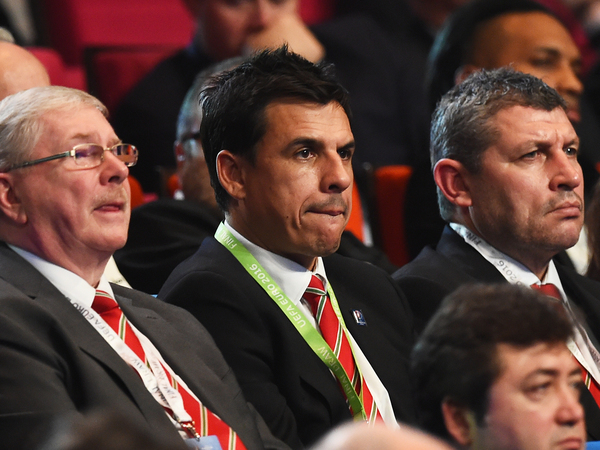 WALES IN GROUP B - they will face England! They will play in Lens on 16 June! Slovakia have been drawn as B4 so Wales play them first. Poland are C3, making them Northern Ireland's opening opponents. Sweden in Group E with the Republic of Ireland. That will be the opening game for Martin O'Neill's team, on 13 June. Onto pot 2. This is the tough one. Switzerland are drawn in Group A - noise from the crowd, we're not sure what for. Sort of a derby, or perhaps the French are happy with that. Russia in Group B with England! Ukraine in Group C. Not the easiest for Northern Ireland. An absolute nightmare draw for the Republic of Ireland, they've now drawn Italy! That's an extremely tough draw for the Republic of Ireland - already being talked of as a group of death. Stay tuned as we'll bring you reaction as it comes. 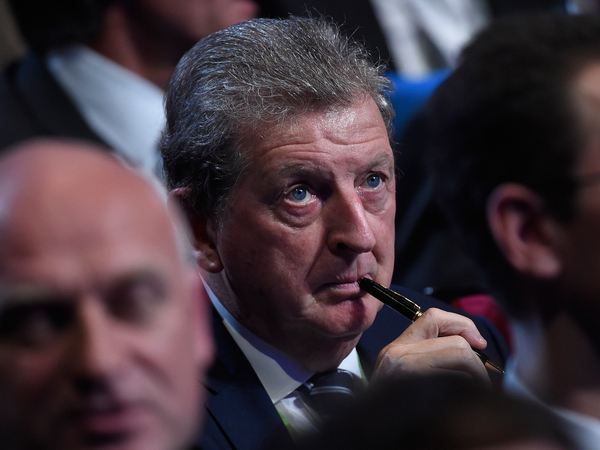 The IndependentEngland will face Wales in France after the two Home Nations were drawn together in Group B of Euro 2016. 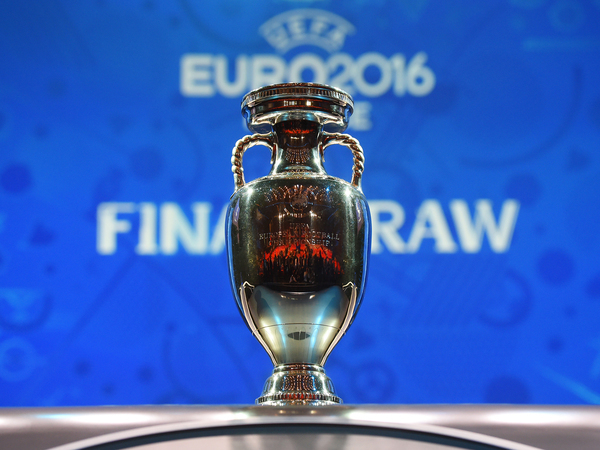 The two teams, who last met during Euro 2012 qualifying in September 2011, were also drawn with Russia and Slovakia. England and Wales meet for the first time in a tournament. The Republic of Ireland endured a nightmare draw as they were selected alongside Belgium, Italy and Sweden. 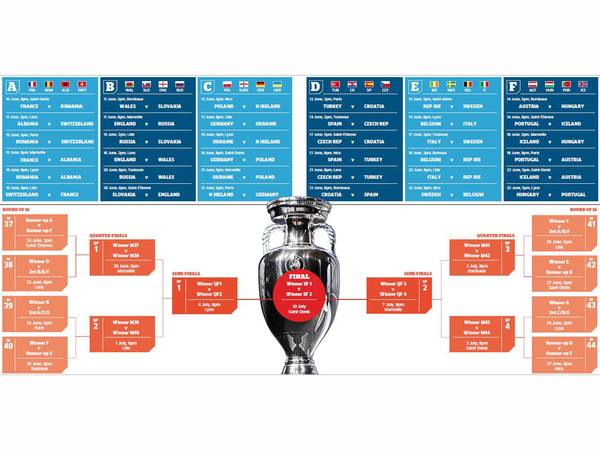 The draw was not much kinder on Nothern Ireland who were drawn with Germany, Poland and Ukraine.